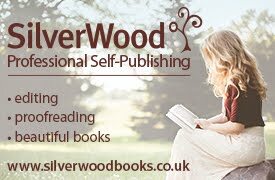 As a pre-launch teaser to Voodoo Wedding, which is released on 1st March, here is my review for the first book in the trilogy, How Do You Voodoo? 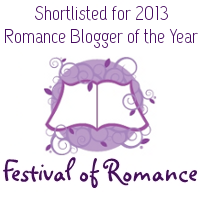 The review for Voodoo Wedding will be on the blog on 1st March too! This is a short novella and was perfect rainy day reading for me. Just the sort of lovely story to relax with. Nola is a top model. She has everything going for her and is considered by all in the modelling world to be a very beautiful woman. Unfortunately beauty on the outside does not equate to beauty on the inside and Nola's priorities are slightly skewed. However, on a flight back from Barbados, Nola’s life is about to take on a staggering transformation thanks to a Mambo or a voodoo priestess she has inadvertently upset. Can Nola really break the curse and get her life back on track? There’s everything at stake here, including a top modelling job. But, as Nola soon begins to realise, she has forgotten about what the really important things in life are and what her humble beginnings were. Meeting Louis soon changes her thinking, but is it enough to fix her life in time? This was such a fun read but with a serious message throughout. Nola’s lessons throughout the book are lessons for the reader too. The story has just the right sprinkling of romance and humour that doesn’t detract from the underlying message. Well done to Janice Horton for a lovely story. I loved this too. Janice has such a talent to be able to include humour with her romance! 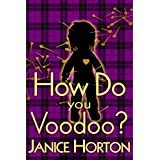 Oh wow - thank you for reading and reviewing 'How Do You Voodoo?' JB! I'm thrilled you enjoyed it. It was such a fun book for me to write - I put poor Nola through so much - and in he sequel 'Voodoo Wedding' (which you kindly did the cover reveal for yesterday) she ends up inviting a whole lot more than family to her and and Louis's wedding. So I hope you enjoy it too! Hi Kit, and thank you so much for your lovely comment! Great theme running thru the story. I loved this novella - I just wish it had been longer! LOL! I'm glad there is more to come from this theme and Janice's gorgeous characters! Thank you ladies! I'm really enjoying Nola and Louis's romance too and I'm currently planning a Facebook and Twitter launch on 1st March for their 'Voodoo Wedding'. I promise it will be fun and I'll be inviting you all to wear wedding dresses! I've already sorted out a pic of me in my wedding dress. Minus my head of course! hahaha. Hubs says he prefers me that way! The cheek! 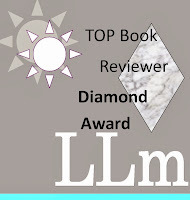 Great review - couldn't put this novella down, really enjoyed it, great read!